Did you know that as a Mary Kay Consultant you can offer a Gift Shopping Service during the Holidays ? You know that time is a precious commodity in achieving success in your business. Everyone likes to receive a wrapped gift. It's more exciting and personal. It says and means so much more! Also, your customers will appreciate that you are thinking of them too by providing them with this wonderful service during this busy time of year! 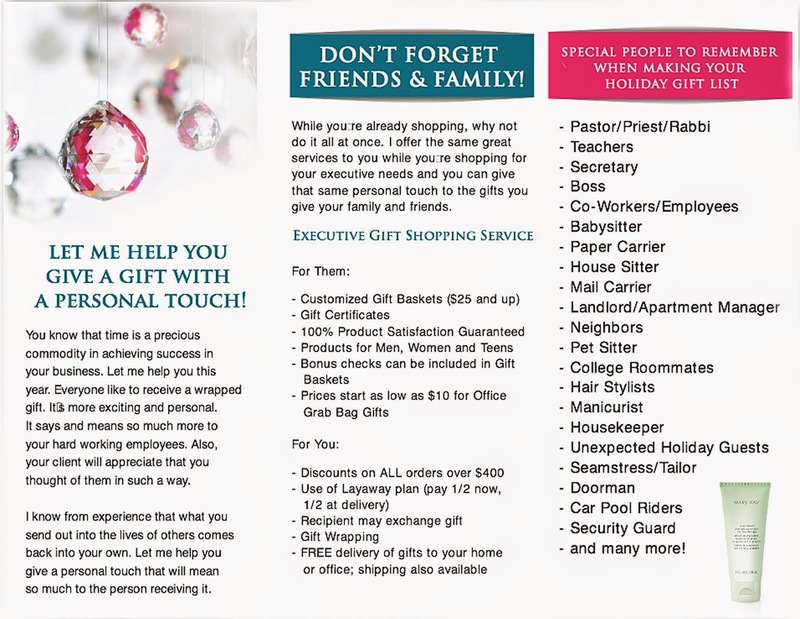 Below is an example of an executive gift shopping service tri-fold flyer.